Bid farewell to that messy tangle of wires and cables. 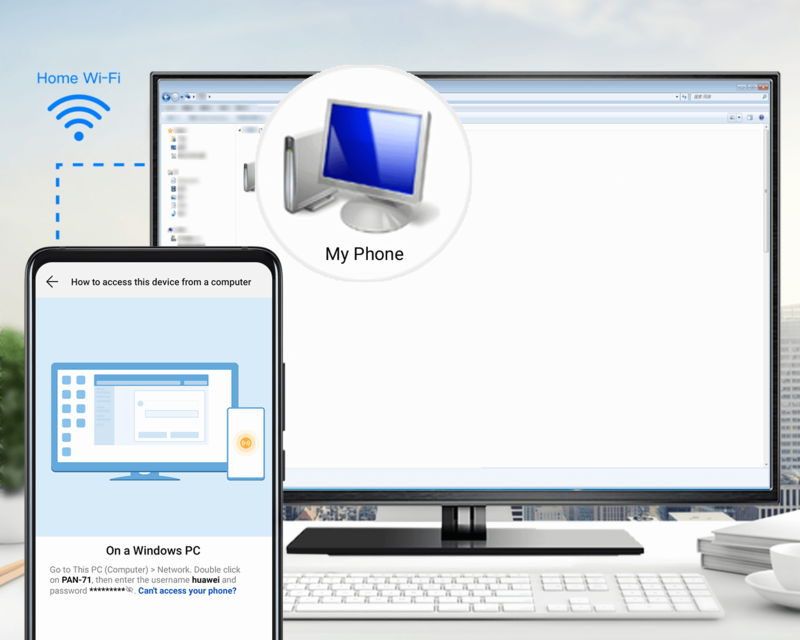 You can now share phone files to your PC or MAC wirelessly. 1. Connect your phone and computer to the same Wi-Fi network. 2. Swipe down the status bar to display all shortcuts. Touch and hold Huawei Share. Then, enable Huawei Share and Computer share. 3. Touch How to access this device from a computer and follow the onscreen instructions to complete the connection.